17 February, 2014-Project and Restaurants. If you’ve ever had the joy of spending time at the lovely Gervasi Vineyard and enjoyed time outside on the bistro or yard, you know what Canton has going for it. 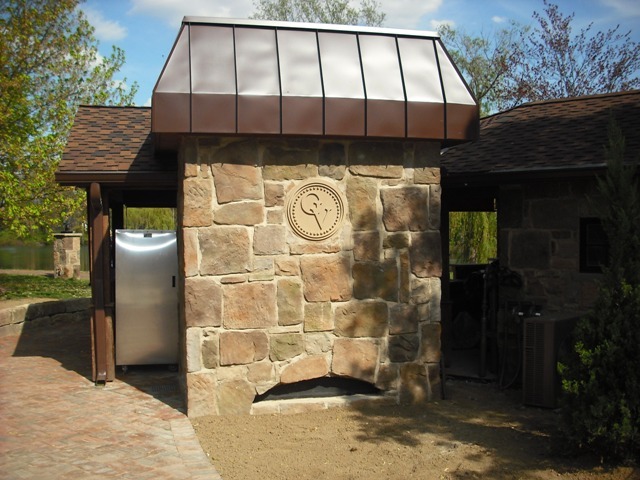 Well, Gervasi is unveiling the new outdoor pizza oven located on the Piazza this spring. The Cornice Co. continues to work hand-in-hand with Gervasi Vineyards to bring you an even more enjoyable experience.